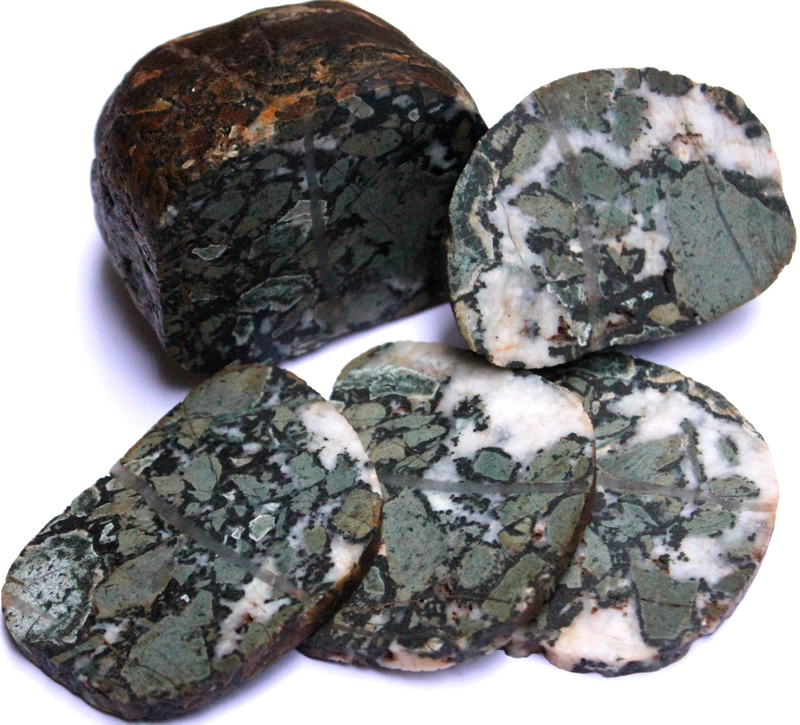 Here’s what Dallasite, our lovely British Columbian jasper of green, white and black, looks like rough on the outside and then cut up to reveal the inside. A rough piece of Dallasite that’s been slabbed on one half. 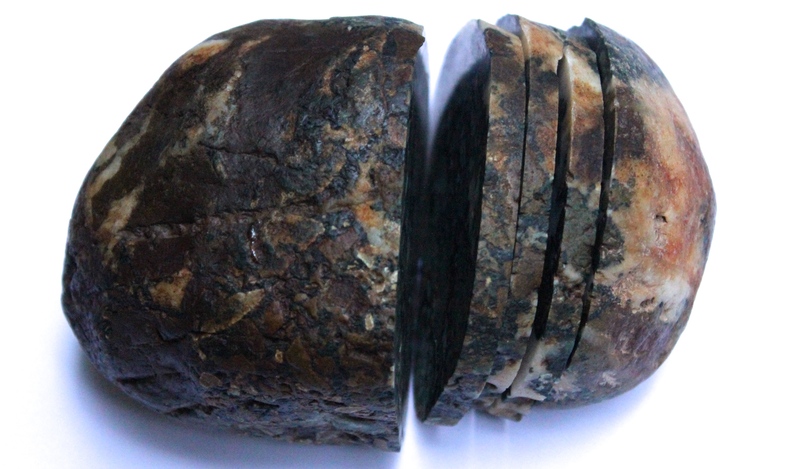 Notice the brown and dark weathering. 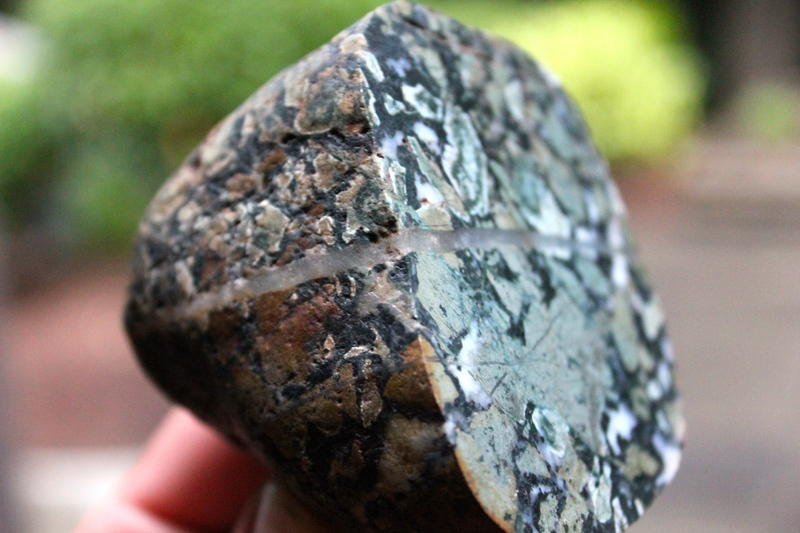 And here’s that dallasite rock with the slabs showing. You wouldn’t have guessed it was green on the inside! Dallasite showing the rough rock and cut side. There’s a translucent vein running through it. That’s all for today. These pictures and rock are thanks to Tommy Lay, who was generous enough to slab and cab some Dallasite for me. It reminds me of head cheese. In a good way!